Last week, we talked about what to expect as far as tax forms from your HSA administrator, and how your HSA contributions are handled on your tax return. But what if you need to take money out of your HSA? The previous article touched on the fact that your HSA administrator will send you (and the IRS) Form 1099-SA if you had any withdrawals from your HSA during the year. How does it affect your tax return? Withdrawals from your HSA are addressed in Part II of Form 8889. This is where you'll include the amount shown on your Form 1099-SA, and you'll also have to say how much of the money was used for qualified medical expenses. If you withdrew money from your HSA and didn't have qualified medical expenses, this is where the IRS is going to add the distribution amount to your taxable income and also charge an additional 20% tax. (If you're disabled or age 65+, the extra 20% tax doesn't apply). But as long as you used the money for a qualified medical expense, there are no taxes or penalties for the withdrawal — and remember that you can reimburse yourself for a prior year's medical expense using tax-free HSA funds, as long as your HSA was already established when the medical expense was incurred. 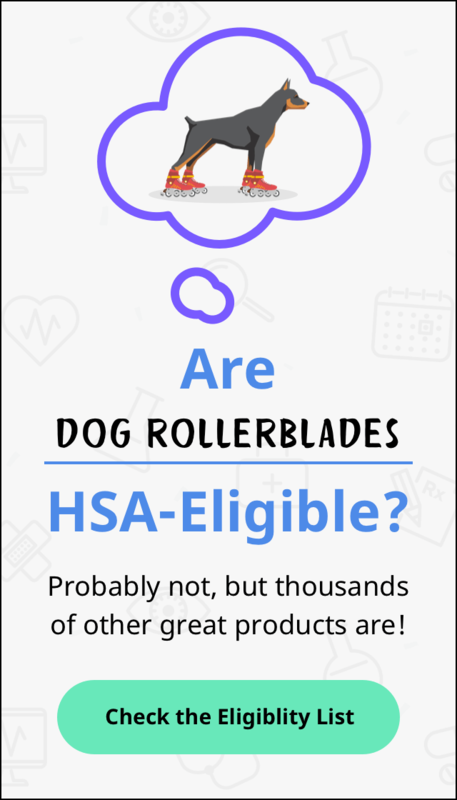 If you took money out of one HSA and moved it to another HSA using a rollover, that will show up as a distribution (on Form 1099-SA) from the first HSA, and as a rollover contribution (via Form 5498-SA) to the second HSA. But when you're reporting all of this on your tax return, there's a line where you'll account for the fact that you just moved the money from one HSA to another, thus avoiding taxes (as long as you completed the rollover within 60 days). Keep in mind that you can avoid having to account for this in the future if you ask one HSA to send the money directly to another HSA, instead of sending it to you for you to then send to the second HSA. Part II of Form 8889 doesn't change anything about Part I, where you calculate your tax deduction based on your HSA contributions. Even if you ended up withdrawing the entire amount that you put into your HSA, you still get to avoid paying income taxes on the full amount of the contribution. This is why you'll hear us say that you can't afford to not fund your HSA. Even if every penny that you contributed was ultimately needed to pay medical bills during the year, the fact that you put the money into your HSA first and then used it to pay medical bills — as opposed to just using it to pay medical bills — meant that you didn't have to pay income taxes on that money. The fact that you ended up having to withdraw it (as long as you used it for medical expenses) doesn't change the fact that you don't have to pay taxes on it. Let's say you earned $50,000 in 2018, and contributed $3,000 to your HSA. If you're self-employed and you sent the money to your HSA administrator yourself, you're going to deduct $3,000 from your income when you file your taxes (you'll do this on line 25 of Form 1040, and you'll use Form 8889 to determine whether there are any adjustments to the amount you should put on that line). But if your HSA contributions were payroll deducted and sent to your HSA administrator by your employer, your W-2 is going to show an income of $47,000 instead of $50,000, because the HSA contributions have already been deducted. So you won't be deducting them on your tax return. And in both cases, it doesn't matter how much you end up withdrawing from the HSA (assuming you use the withdrawal for qualified medical expenses). You don't have to pay taxes on the contributions, regardless of whether you end up withdrawing all of it or none of it during the year. And you do not have to pay taxes on any interest, dividends, or investment gains that you earn in your HSA. When it comes to HSA contributions, withdrawals and your tax return, it can get a little complicated if you end up contributing too much or withdrawing money without a qualifying medical expense. But otherwise, it's pretty straightforward. As applicable, your HSA administrator will send you Form 5498-SA, showing how much you contributed during the year, alongside Form 1099-SA, showing how much you withdrew. You'll compile the information in Form 8889 when you file your taxes, and continue to reap the tax advantages of using an HSA. As always, please note, we're not tax or finance professionals. Be sure to speak with a qualified professional before making any tax and finance decisions.